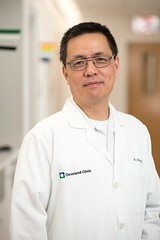 Post written by Bo Shen, MD, from the Department of Gastroenterology and Hepatology, Cleveland Clinic, Cleveland, Ohio, USA. The team from the Global Interventional IBD (Gi-IBD) group and ASGE Special Interest Group in Interventional IBD put together a position statement on endoscopic management of structural and neoplastic complications of IBD. With better understanding of etiology, pathogenesis, and disease process of IBD and advances in endoscopy doctrine and technology, we believe in following 4 areas of application in interventional IBD: (1) stricture – endoscopic balloon dilation, endoscopic stricturotomy, and endoscopic stent placement; (2) fistula and abscess – endoscopic fistulotomy, endoscopic clipping, and endoscopic incision and drainage; (3) surgical complications – endoscopic balloon dilation or electroincision of anastomotic stricture and endoscopic sinusotomy; and (4) colitis-associated dysplasia – endoscopic mucosal resection and endoscopic submucosal dissection. The natural history of inflammatory bowel disease (IBD), including Crohn’s disease (CD) and ulcerative colitis, has dictated that a majority of patients will eventually develop some form of structural or neoplastic complications, such as stricture, fistula, abscess, and colitis-associated neoplasia. Those complications have traditionally been managed with surgical intervention. However, post-surgical complications (such as anastomotic leak, sinus, and stenosis) and postoperative disease recurrence are common. On the other hand is medical treatment, even with potent biological agents. Therefore, both medical and surgical therapies have limitations. Endoscopic therapy plays a bridging role between medical and surgical treatments. The main goals of endoscopic treatment are as follows: (1) relief or improvement of patients’ symptoms; (2) enhancement of outcome of medical therapy, such as the use of combined medical and endoscopic therapy for inflammatory strictures; (3) prevention or deferment of surgery, which is especially important in those who otherwise requireof multiple surgical interventions during their disease course; and (4) management of surgical complications to avoid re-operation. Figure 4. Endoscopic fistulotomy. A short, superficial ileocolonic fistula detected with a soft-tip guidewire (A), which provided guidance for electroincision of the fistula track (B and C). D, Postprocedural view of the fistula track. In this Position Statement, we highlighted the current status of interventional IBD and provided information on treatment principles, techniques, and outcomes. Endoscopists should be familiar with underlying disease processes, nature of diseased lesions, indications, contraindications, endoscopic techniques, and damage control (in cases of procedure-associated complications). The Statement also emphasized the need to train the next generation of IBD inventionalists. Interventional IBD will likely play a growing role in the management of complex IBD, before and after surgery. With wide use of immunosuppressive medications, we may expect a reduction in the need for surgery of refractory inflammatory phenotypes of IBD. On the other hand, we expect that we are going to see a larger number of patients with structural diseases, which can be related to underlying IBD, medication use, and surgery. Interventional IBD is ideally positioned in the management of those structural disorders.